Notes The Sturmgeschütz III Ausf A was the first in a series of infantry support vehicles based on the chassis of the Pz Mk. III. As early as 1936 the German army had issued orders for a vehicle mounting a weapon with a calibre of 75mm, to act in the infantry support role. The gun would be hull mounted with limited traverse, giving the vehicle a low silhouette. Early models were built on the Pz III Ausf B chassis, and these were really prototypes and made using mild steel, five in total were built and used for training. 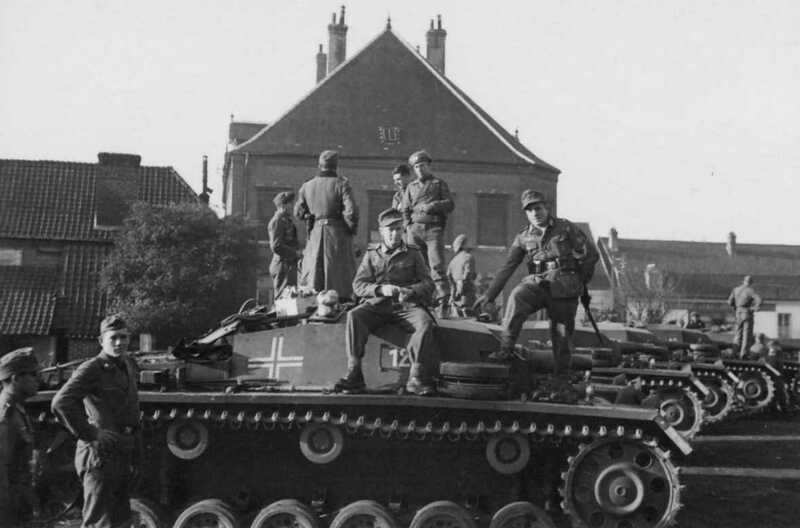 The Pz III Ausf F (except for six built on the Ausf G chassis) was chosen to provide the chassis for the main production model, and various changes were made with the omission of the side hatches being prominent. The armour was thicker too and the main armament was the low velocity 75mm StuK 37 gun. These vehicles were crewed by artillerymen rather than tank crews. The StuG III Ausf A made its baptism of fire during the French campaign.